News that the State has retired the controversial Blueprint for Intelligent Growth (BIG) map has shifted public attention to the State Development and Redevelopment Plan. The state now says it will use the State Plan map in drafting new regulations for environmental protection, a long-awaited use of this nationally admired plan. 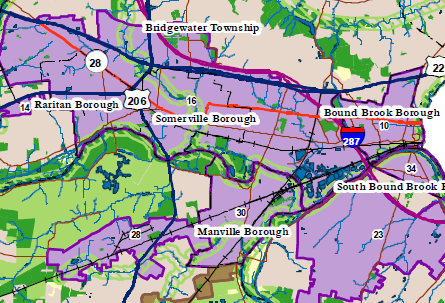 In March 2004, public “cross-acceptance” meetings on a revised State Plan and map will begin in all 21 counties across New Jersey. 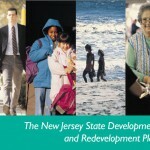 The final version of the State Plan is expected to be adopted in May 2005. Where and how is New Jersey to grow? For more than a decade, municipal and county planners and citizens have offered their guidance on this critical question to the State Planning Commission. The consensus about where growth should go, and land should be preserved, in the interests of the state as a whole, is reflected in the State Plan. The Administration’s decision to use the State Plan map as a basis for environmental policy and regulation is likely to draw an unprecedented amount of public attention and input to the State Plan process, making this update the most critical the state has ever undertaken. The State must engage municipalities on their plans for growth, not merely preservation, by providing growth projections and requiring growth plans to be a part of the municipal response. The State Planning Commission appears unwilling to take on this charge and to seek growth projections either in-house or from outside state government. The Office of Smart Growth, which staffs the process, has neither the financial or professional resources to do the job. Some reallocation of resources and additional professional expertise will be essential to ensuring all voices are heard, and Plan changes will strengthen the state’s economy and environment. Finally, the state would ensure forward progress by requiring other state departments to follow the lead of the Department of Environmental Protection in drafting regulations, and especially spending plans, that support the State Plan, even as the update is underway. The Administration’s decision to use the State Plan map for rulemaking honors the public and professional effort that created it. It also ensures a planning perspective that’s larger than the interests of any single municipality, county or state agency. And it makes the upcoming 18-months of update and “cross acceptance” the most critical the state has ever undertaken.